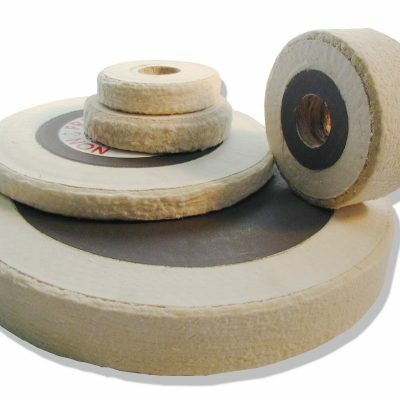 Rubber (neoprene or urethane) contact wheels come in many hardnesses to fit a variety of grinding and finishing needs. 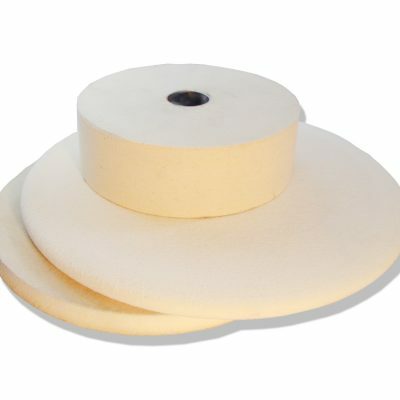 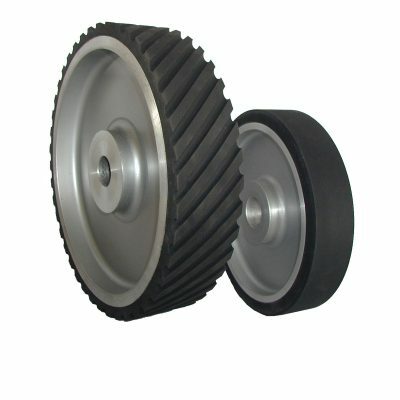 The face of rubber wheels can be shaped to aid in polishing recesses and radii. 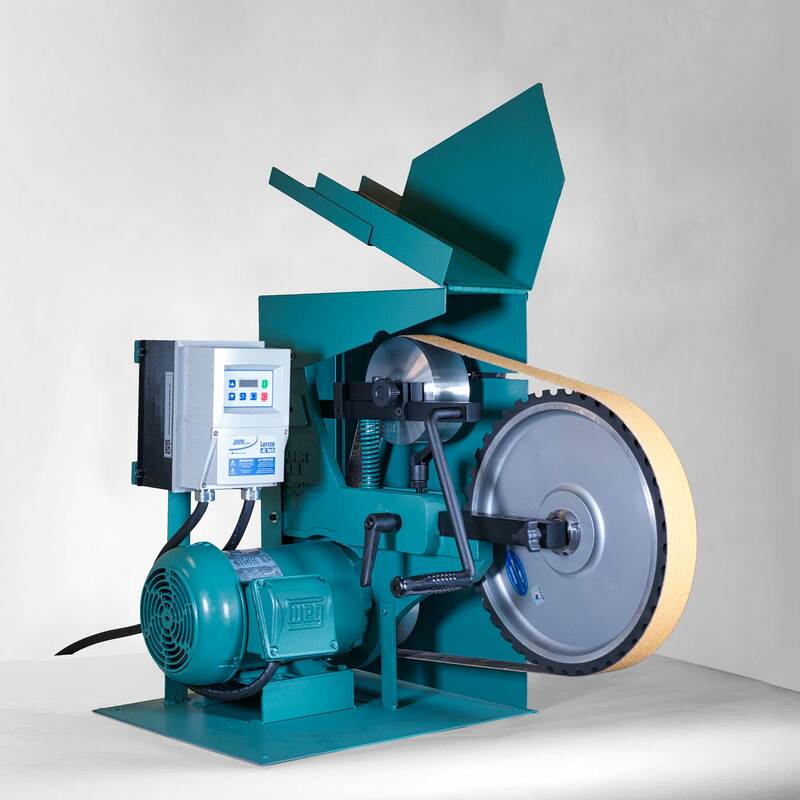 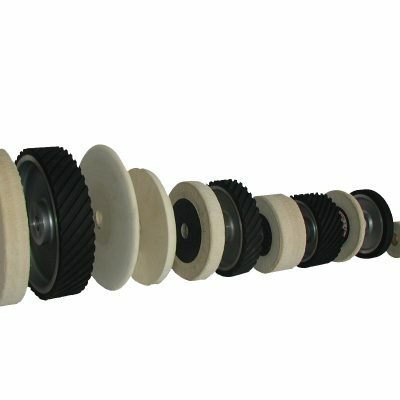 Neoprene wheels can also be serrated to increase cut rate and increase belt life.